So I feel like the past three weekends, I've been bit by the bad luck thrifting bug. 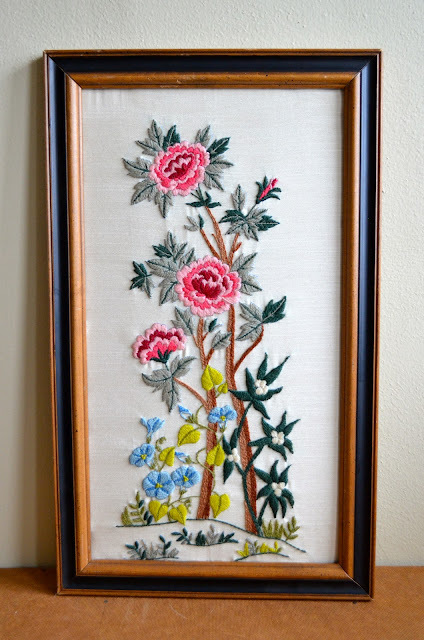 It seemed that every estate sale was either picked over by the time I got there, or the prices were outrageous, and the thrift stores were the same. I don't know if any of you other vintage shoppers have noticed this trend, but I definitely think the demand for secondhand has grown a lot, and now these stores and estate sale companies are picking up on that and, as a result, raising their prices (not bad for someone who scored low marks in economics...). And, I'm not gonna lie, it's been really frustrating for me, so much so that I almost didn't want to go out this weekend. But I knew I would've stewed about what I might have missed if I didn't, so I planned my route and headed for the door. I went to four sales...and came out empty-handed and (obviously) still fairly frustrated. Prices were still high, or the aesthetic of what was being offered just didn't jive with mine. On my way to the last sale, I prepared myself for another letdown, and at first I thought it was. The kitchen had some beautiful Pyrex pieces, but the prices were ridiculous, and the bedrooms had barely anything. But then I went downstairs...and it was like a breakthrough! The whole place was packed with clothing, accessories, cookbooks, craft supplies and tons of miscellaneous. But a lot of things didn't have prices, which made me nervous. So I brought some things to the register and hesitantly asked how much they were. The lady running the sale was one of those very easygoing hagglers, willing to meet you more than halfway on most things, and, as a result, I left with a little load of things and a big smile. It felt SO good to finally get out of that dry spell! Two wooden printer/letter block drawers. 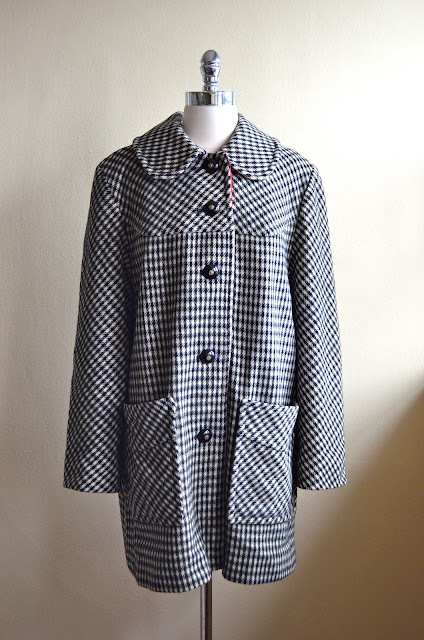 A beautiful black-and-white women's coat for the shop. 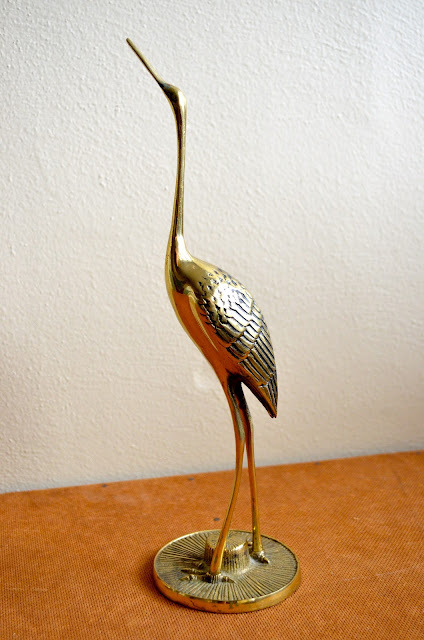 A brass stork (or is it an egret?). 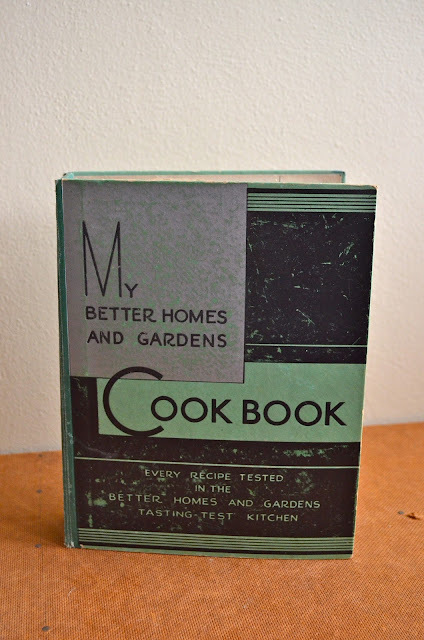 A Better Homes and Gardens cookbook from the 1960s. Some more crewel art. I think I finally have enough to hang a collage! 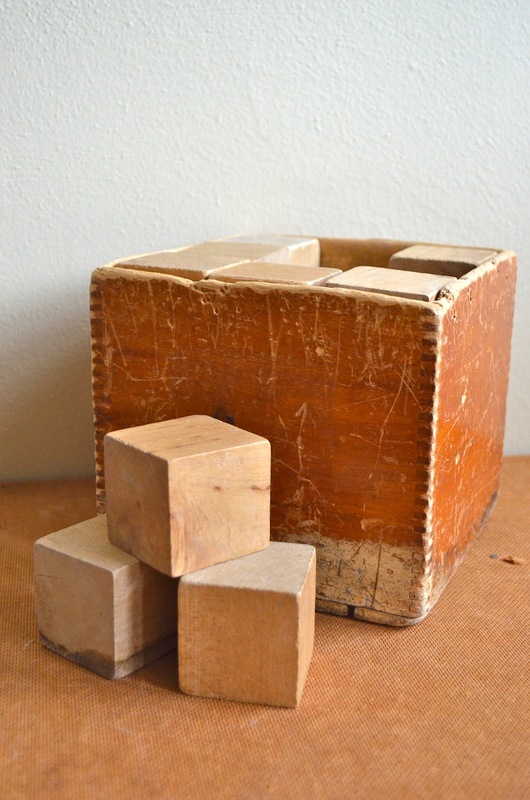 A handmade wooden box with handmade wooden blocks. Something I've been searching for for a very, very long time: a vintage school map to hang in the dining room. This is one of South America which is, ironically, one of few continents we've never been to. Two vintage wallets for the store. 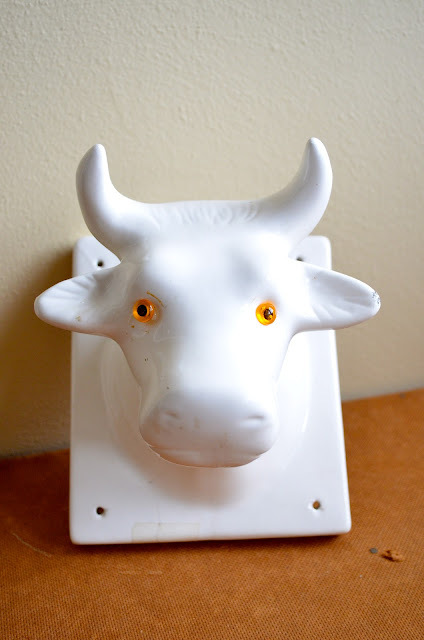 A vintage white ceramic cow's head, which will join the other ceramic animal heads I've collected. And another women's coat, this one with a faux fur collar. Your turn! Find any goodies this weekend? Really beautiful finds Beth, I have a printers tray and turned it into an earring holder, it's one of my favourite things. Love the coats, map and stork too. Love the map and the brass bird. It seems like I saw a ceramic cow head just like that one really recently but I can't remember where. I LOVE the printers trays! A professor I used to work with has one in his office that I covet. And I have a brass crane just like the one you found! There is a mate that goes with it that's posed sort of head down, wings out. I love them! You know, I thought that might be the case. These brass birds always seem to come twos! Holy moly, what awesome purchases! I'm going crazy over the wooden blocks and the vintage map. Wish I'd find a sale like that in NJ!!! Girl, I have been patiently waiting (and resisting urges to buy one on Etsy) to come across a map for almost a year. Keep looking and you'll find one! What a haul! Especially love the pull-down map and the wooden blocks. The coats are really pretty and classic. Oh wow, I love the blocks! And I'm a sucker for maps. Me too! And I'm trying to figure out what to do with the blocks...maybe paint a neat pattern on them? 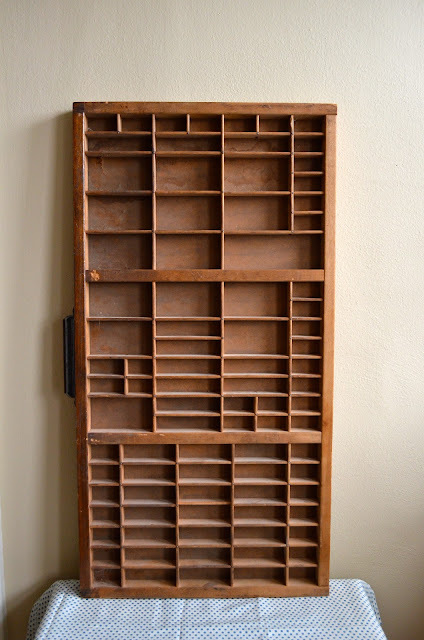 I love old printers trays - I have a couple and I have them hanging on the wall in my art area holding stamps and inks. I have always wanted to use one as a tabletop but haven't got around to it yet. And the old pull down school map is very cool. All your finds are fab! I love the colors of that map! Just gorgeous. Also that black and white coat is fabulous. 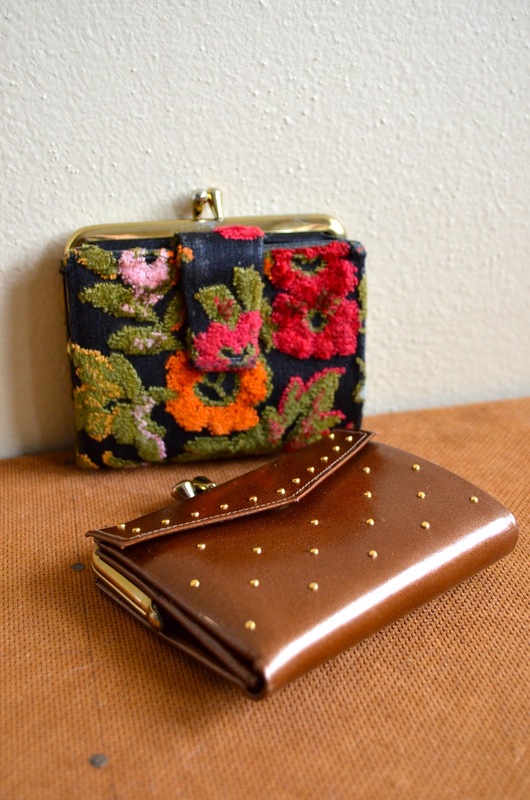 Great finds and a cool blog. Looking forward to reading more! The printer's drawer is fantastic! And I really like that box of blocks, too! Ooo, sounds like fun! I'm still slowly learning about gardening. We had a decent veggie one in the back this summer, but I pulled up almost everything in the front. Now I have to decide what to put there! 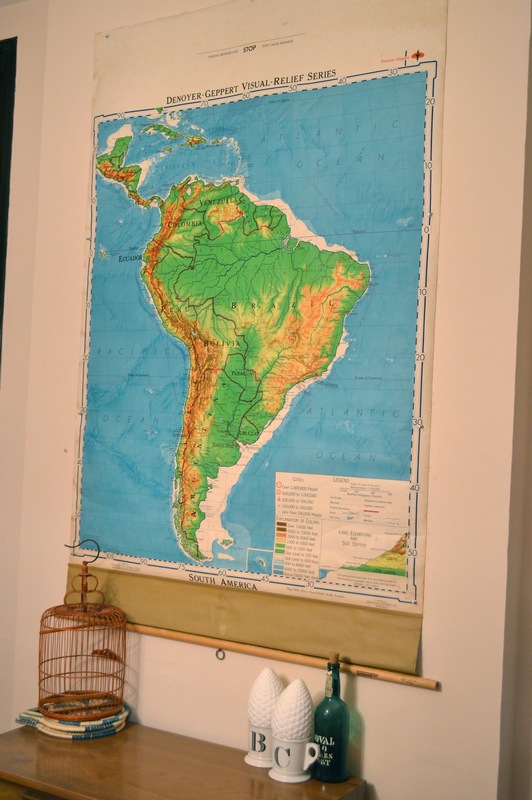 oooh, that is one great hanging map... That's definitely on my thrift wishlist. I joined in with magpie monday too so i found you through there! I bought lots of old books this week, they leave me drooling. Wow, almost everything you bought would have come home with me too, such good finds! Please, please, please make a collage and show it off!